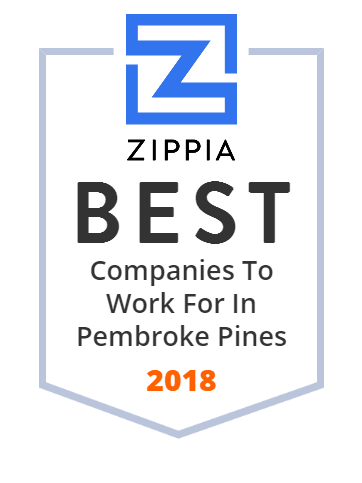 We hand-curated a list of the best companies to work for headquartered in and around Pembroke Pines, FL using data on salaries, company financial health, and employee diversity. Saint Edward Catholic Church in Pembroke Pines, Florida, was established in 1995 and constructed in 1999. Its adoration chapel and religious education classrooms are offered for over two thousand students yearly. Approximately one thousand people can be seated in the church. Today, the parish's population has reportedly stabilized somewhere near three thousand registered families. Since 2011, the church has been led by pastor John Peloso. South Florida Sleep Centers, comprised of United Sleep Diagnostics (USD) and American Institute For Sleep Performance (AISP), are sleep diagnostic companies that provide comprehensive diagnostic sleep testing and treatment in its sleep laboratories, the patient's home, or hospital based sleep labs. Services include sleep apnea evaluation (polysomnography), multiple sleep latency test (MSLT), sleep apnea titration home sleep testing, home sleep testing, etc. Opened in 2000 in Pembroke Pines, FL, South Florida Sleep Centers continues to be one of the most well respected sleep companies in South Florida. Scruby 's is an open pit BBQ restaurant that has been serving ribs, chicken, pork and brisket, including its own recipe BBQ sauces, since 1995. It feature a full service bar, 44 item salad bar, and its friendly servers deliver generous portions in a family style setting. Scruby's selection and preparation of meats, distillation of sauces, and recipes are loved by its customers in Pembroke Pines, FL. V&M Erectors, etablished in 1988, is a construction subcontractor, specializing in steel bridge structures. The company has steel bridge installation experience across the Southeastern United States and also successfully completed a railway bridge project in Liberia. Its team of more than 100 employees provide exceptional performance and focus on quality, safety, budget, and schedule. V&M Erectors has already constructed numerous bridges of all types, including steel girders, bascule leaves and machinery, reinforced steel, etc. City of Pembroke Pines, incorporated in 1960, is the 10th largest of Florida's 400 municipalities and is often named "one of the best cities to live in America". The city is home to 160,000 residents that make a safe and desirable community. It has highly rated recreational programs, as well as fire/police services and boasts the largest municipal run charter school program in the Country. The domain name ajobforyou.com is for sale. Make an offer or buy it now at a set price. Undeveloped keeps you safe. Since 1953, Memorial Hospital Pembroke, part of Memorial Healthcare System, has been providing high-quality healthcare services to South Florida residents. Memorial Healthcare Systems offers patient- and family-centered care, medical education, and research and is is one of the largest hospitals in Florida. Services provided atr Memorial Hospital Pembroke include bariatrics, diabetes, emergency care, medical detoxification, respiratory care, stroke treatment, and wound care. Grand Palms Hotel is a first class golf facility located in the heart of Pembroke Pines, Florida that includes a pro shop, outdoor pool, fully equipped fitness gym, excellent food and beverage services and friendly staff. The hotel has 137 comfortable rooms and a 27 hole golf course. It is a great place both for avid golfers and those who just want to relax.